On March 30, 1973, all U.S. troops withdrew from Vietnam under the terms of the Treaty of Paris. More than 58,000 members of the United States Armed Forces had lost their lives while more than 300,000 were wounded during the conflict. 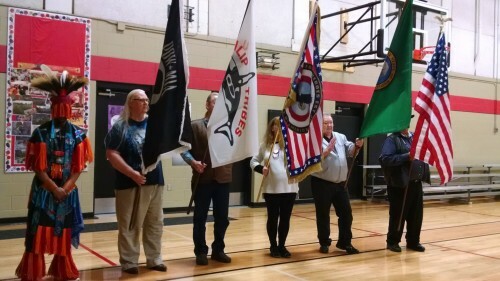 Today veterans in the Tulalip community came together to celebrate all the veterans who returned home and to honor those who lost their lives serving their country. 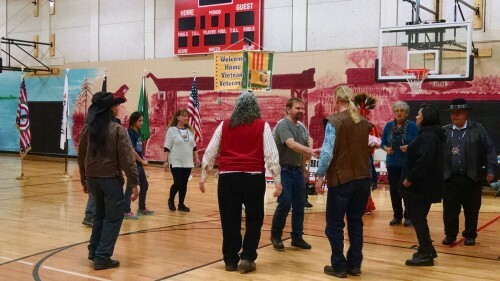 The celebration was organized by Tulalip veteran Andy James who served in the Marines during the conflict. 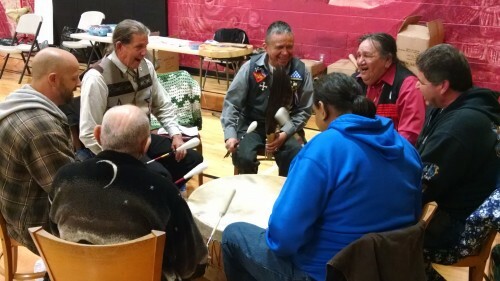 The event featured a potluck style meal and small pow wow. Thank you to all those who have served. We honor your sacrifice and welcome you home. This entry was posted in Local News, Tulalip News and tagged Tulalip, Veterans, Vietnam Veterans, Welcome Home Vietnam Veterans Day by admin. Bookmark the permalink.